Maryam Montague has made a career doing humanitarian work, but design is her passion. She and her husband built, decorated, and now run a boutique hotel on the outskirts of Marrakesh. Maryam's eye for interior design has garnered features on HGTV and the Travel Channel. She also runs her own carpet and textile business, Red Thread Souk. 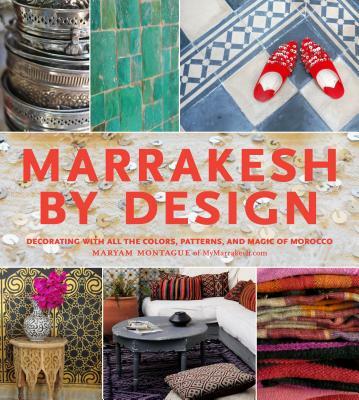 Maryam's destination, lifestyle, and design blog, My Marrakesh, has millions of followers and was voted Best African Weblog in the 2011 Annual Weblog Awards. Maryam resides in Marrakesh with her husband, their two children, and three peacocks.